One of the more complex sections of the Affordable Care Act is the Employer Shared Responsibility Provisions, also referred to as the ACA Employer Mandate. While the ACA was first enacted in 2010, the reporting requirements of the ACA’s Employer Mandate did not ultimately take effect until 2015. If you paid attention to the signs, ACA penalty assessments for non-compliance from the IRS should come as no surprise. Perhaps employers were lulled into a false sense of hope that the ACA would never be enforced. The first sign that it might be was in late 2016 when the IRS started issuing Letter 5699 to organizations that the IRS believed were ALEs that failed to file information returns for the 2015 tax year. The IRS requires ALEs to file information returns with the agency and provide statements to their full-time employees relating to whether they were offered health insurance and coverage to the employees (and their dependents), and if so, certain details about that health insurance coverage. For the 2015 tax year only, ALEs had a lower offer of coverage requirement of 70%. (For tax years 2016 and on, that offer of coverage requirement was increased to cover 95% of a full-time workforce). In Letter 5699, officially titled, “Request for Employer Reporting Offers of Health Insurance Coverage (Forms 1094-C and 1095-C),” the IRS asked employers to confirm the name they used when filing ACA information, provide the Employer Identification Number (EIN) submitted, and the date the filing was made. Fast forward to April 2017. Little has been heard about IRS enforcement of the ACA until the Treasury Inspector General for Tax Administration (TIGTA ) released a report identifying the IRS’s development of an Affordable Care Act Compliance Validation (ACV) system. Through this automated ACV system, the IRS would be able to process the information presented in the annual Form 1094-C and 1094-C filings to calculate the penalty assessments for those ALEs in non-compliance. And the IRS also could identify which ALEs had not filed information, which also could result in steep financial penalties. The next hint that the IRS would seriously be pursuing IRS enforcement occurred in June 2017 when the IRS publicly released a letter it had issued to U.S. Representative Bill Huizenga. The Representative had inquired if there would be waivers available to businesses that had not filed ACA information with the IRS based on certain understandings and beliefs. The agency was clear in its response. There would be no waivers provided under any circumstances to businesses that did not file ACA information. In November 2017, almost two years since the first ACA filings were required to be filed with the IRS, the federal agency began issuing ACA Letter 226J penalty notices to ALEs of which the IRS had determined had failed to comply with the ACA Employer Mandate for the 2015 tax year. The impact of this enforcement was significant for many employers. In March 2018, TIGTA released a report revealing that of the 318,296 ALEs that filed ACA information returns for the 2015 tax year, 49,259 were identified by the IRS as potentially owing an ACA penalty. The report indicated that the IRS had issued more than 30,000 Letter 5699 notices amounting to $4.5 billion in penalty assessments for the 2015 tax year alone, with more expected. The TIGTA report also stated that the IRS had the process in place to start issuing Letter 5699 penalty assessments for the 2016 tax year. A sign that the enforcement process for the 2016 tax year was gearing up occurred five months later. In August 2018, the IRS started issuing Letter 5699 again, this time to organizations identified as being ALEs that failed to file information returns for the 2015 and 2016 tax years. In these letters, the IRS again asked employers to confirm the name used when filing ACA information, provide the Employer Identification Number (EIN) submitted, and the date the filing was submitted. This also was the precursor to the IRS starting to issue new ACA penalties under IRC 6721/6722, in addition to the penalties being issued under IRC 4980H. In October 2018, the IRS began issuing Letter 5699 penalty notices to employers identified as having failed to offer ACA-qualified health insurance coverage to 95% of their full-time employees for the 2016 tax year. In January 2019, the IRS began issuing the new ACA penalties under IRC 6721/6722 to employers identified as having failed to distribute IRS Form1095-C to employees and/or having failed to file IRS forms 1094-C and 1095-C with the federal tax agency by required deadlines for the 2015 and 2016 tax years. The penalties were issued using Letter 5005-A/Form 866-A. For organizations that were blindsided by an ACA penalty, the signs were there if you knew where to find them. If you still haven’t taken proactive measures to ensure ACA compliance, it’s not too late. The important question now is: What can you do to ensure your organization or clients can minimize their risk of receiving IRS penalties for not complying with the ACA? If you haven’t filed ACA information with the IRS, do it now. If an organization has not filed ACA information with the IRS, and so far has avoided receiving a Letter 5699, file this information as soon as possible to minimize potential penalties, which could be in the millions of dollars. You may want to engage an outside consultant with expertise in the ACA to assist you. Identify one that has a track record of helping companies successfully file their ACA returns without resulting penalty assessments. 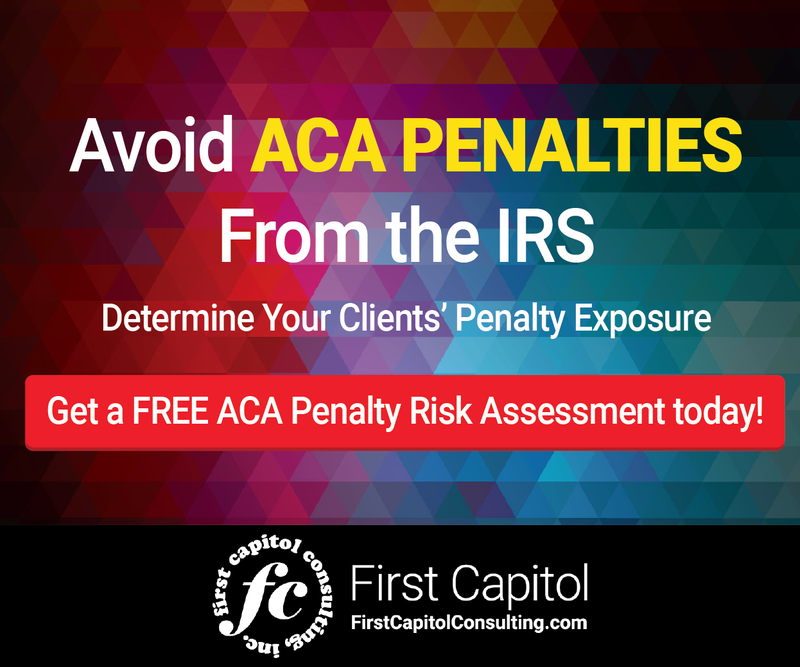 Identify the potential risk of being assessed an ACA penalty. If you have completed your ACA filings for the 2015, 2016, 2017 and 2018 tax years (the deadline for the 2018 filing is April 1, 2019), you may want to assess your potential risk of receiving IRS penalties if the agency determines that your filings are not in compliance. 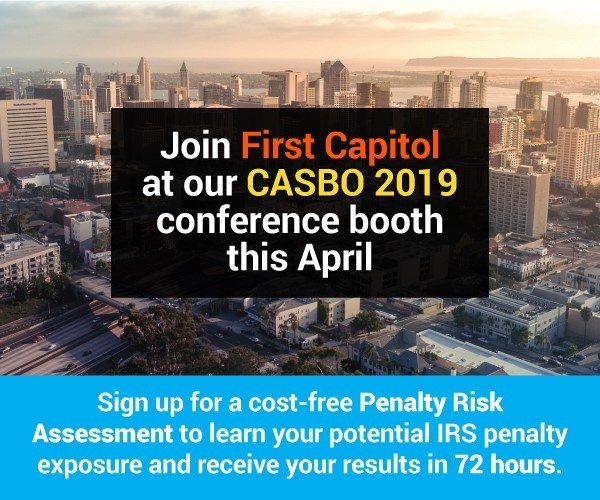 Consider undertaking an ACA Penalty Risk Assessment of your previous IRS information filings to get a sense of what potential penalties might be and how to address the data and compliance process problems that could result in those penalties. Some outside consultants will provide this service at no cost. Correcting any data issues with the IRS before receiving a penalty notice could head off a penalty assessment. 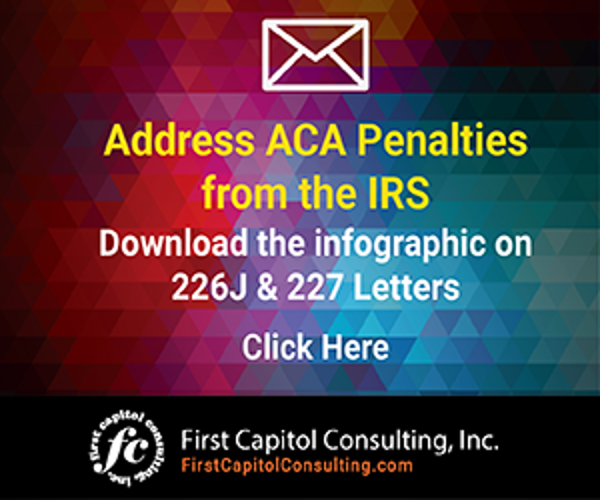 Move swiftly if you receive an IRS penalty notice with ACA penalties. If you have a received a Letter 5699 or Letter 5005-A/Form866-A, find outside consultants that can help you in responding to the IRS to reduce or eliminate these penalties. If you received a less than desirable Letter 227 response from the IRS to your Letter 5699 submission, again consider working with an outside consultant to minimize the penalty damage. Learn what you can about Letter 5699 and the series of Letter 227 letters that can come from the IRS by clicking here. Find out more about ACA penalties under IRC 6721/6722 by clicking here. If you need help with your 2018 ACA filing with the IRS, click here. All signs point to the ACA remaining in place and the IRS becoming even more proficient at enforcing the healthcare law. Take action now to minimize the risk of penalties for your organization. To receive a copy of the infographic below, click here. With the IRS clearly committed to enforcing the ACA’s Employer Mandate, here’s what employers can do to minimize or avoid IRS penalties.